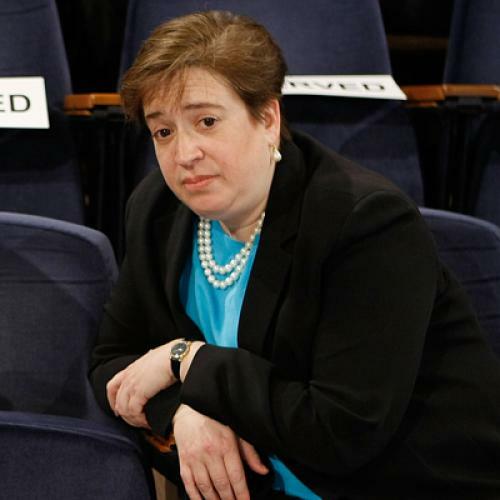 There’s a lot we don’t know about Elena Kagan—because she’s never told us. Imagine a candidate for the U.S. Senate who has never taken a public stand on almost any policy issue. Imagine that her campaign consists of asking people for their support because, according to friends and colleagues, the candidate is smart, fair, and good to others. When her friends are asked what her views are on various political matters, they reply that they don't know—but that they're confident she'd make an excellent senator. This bizarre hypothetical closely resembles the actual campaign to put Elena Kagan on the Supreme Court. (The White House will reportedly announce her nomination on Monday.) Of course, a Supreme Court justice is not a conventional politician in the way a senator is, but being a justice involves making often controversial judgments about the law, and these judgments are unavoidably political. Unfortunately, nobody seems to know what Kagan's views are on most political issues, nor does anyone know what she believes about how judges ought to interpret the Constitution, how much deference courts should give to Congress and state legislatures, and what role the judiciary should play in checking the powers of the executive branch. We don't know because she hasn't told us. Indeed, Tom Goldstein, a Washington lawyer and publisher of SCOTUSblog, describes Kagan as "extraordinarily—almost artistically—careful. I don't know anyone who has had a conversation with her in which she expressed a personal conviction on a question of constitutional law in the past decade." Consequently, the support for Kagan's nomination has been based not on her legal views, but almost entirely on her character. Many friends and colleagues from various stages of Kagan's career—the University of Chicago (where she received tenure in 1995), the White House (where she was associate counsel to President Clinton), Harvard Law School (which granted her tenure in 2001 and made her dean two years later), and the Department of Justice (President Obama appointed her Solicitor General)—have stepped forward to support her. They insist that, because of the sterling reputation she's earned in her various roles, Kagan will make a great judge. What's more, various groups who respect Kagan personally and professionally have projected their own views onto her "blank slate"; progressives believe she's a liberal, centrists assume she's a moderate, and conservatives say she isn't a bleeding heart. To be sure, being respected is hardly irrelevant to serving on the Supreme Court. And we do have some very general sense of Kagan’s approach to the law: Because she has worked for two Democratic presidents and opposed Don’t Ask, Don't Tell during debates over ROTC recruitment at Harvard, it's safe to say that Kagan's politics are left-of-center. But there is a lot of intellectual space on the legal left. And, ideally, by now, we would know much more about a likely Supreme Court nominee’s legal philosophy than whether it falls, broadly speaking, on the left or the right. Kagan has published very little: three scholarly articles, two shorter essays, two brief book reviews, and two other minor pieces. Compare this record to those of the three other law professors most commonly mentioned as potential replacements for Justice John Paul Stevens: Stanford Law professor Pamela Karlan and Harold Koh, who became Yale Law's dean in 2004, each have more than 100, and Kagan's Harvard colleague Cass Sunstein, who also works for the Obama administration, has several hundred, including more than 20 books. All three have taken stands on numerous legal and political issues, in both the academic and the popular press. All have written extensively on how, in their view, courts should engage in legal interpretation in general and constitutional interpretation in particular. And yet, despite her largely blank record of opinion, Kagan's candidacy for the High Court has provoked almost ecstatic enthusiasm from various current and former colleagues on both sides of the political aisle. She has been praised for her "brilliance," for her "many remarkable qualities," and for being "scrupulously fair-minded" to people of various political views. Yet no one, not even her biggest admirers, can offer any real evidence for what sort of judge she would make, or which side of major legal issues she would fall on. Recently, I asked a law professor—a former student of Kagan's and a political conservative—what she thought of Kagan's prospective nomination. After expressing warm admiration for Kagan's teaching abilities (and gratitude for the letters of recommendation Kagan wrote for her) the professor opined that, as a justice, Kagan probably “wouldn’t be political.” When I pressed her on what she meant by that, she explained that she believed that, if put on the Supreme Court, Kagan "would be a centrist." (Given the professor's own political inclinations, she clearly meant this as praise). Yet, when I asked about how she had made that judgment, the professor acknowledged that it was based on just a "gut feeling." On the flip side, liberal law professor Walter Dellinger recently claimed in Slate that Kagan’s views on presidential power are “fundamentally progressive.” Yet the sum total of Dellinger’s evidence consists of the “Presidential Administration” article and a 2007 commencement speech in which Kagan criticized John Yoo’s torture memos. Given the uncontroversial nature of the Harvard Law Review article and the fact that the torture memos have been repudiated by the Bush administration’s own lawyers, this is pretty thin evidence for Kagan’s supposedly “progressive” inclinations. The contrasting assumptions about Kagan's views continue to bump up against each other in media coverage of her pending nomination because we lack definitive evidence of what she really believes. Perhaps her views will become clearer during her confirmation process in the Senate, and perhaps, if confirmed, she will make an excellent justice. But, for a president to appoint someone to a lifetime position, wouldn’t it be preferable to know what she believes on the biggest issues of the day—and how she arrived at those conclusions? If Obama does nominate Kagan, as he likely will, he will be taking a very big risk.